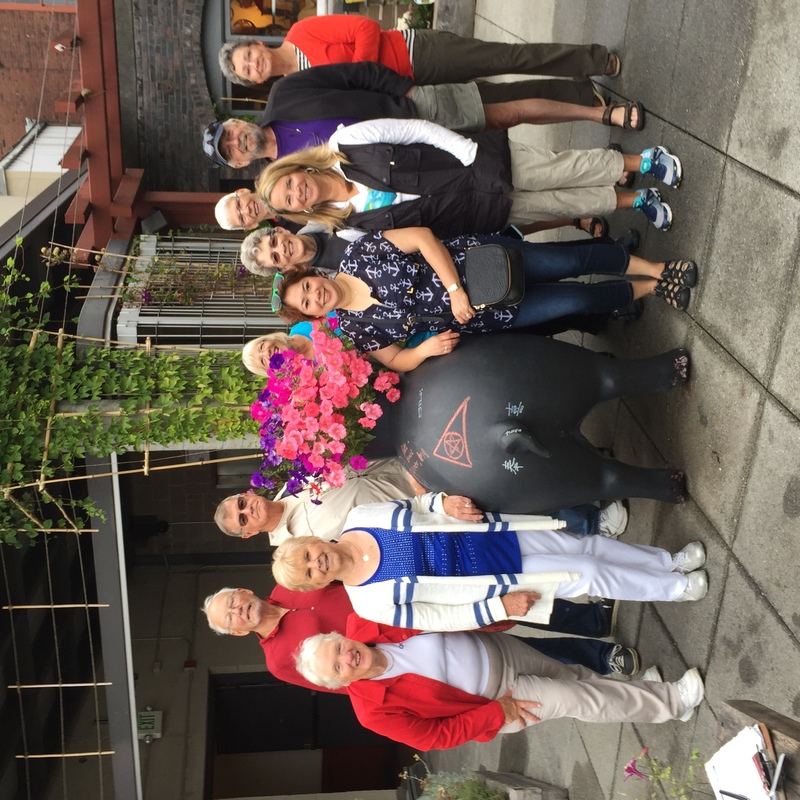 Thank you, Megan Lee, for the fantastic tour of Pike Place Market this morning! One of the market pigs now sports a QCYC burgee and many of us have a new appreciation of this city treasure. Megan took us all over the place: from the senior garden (see photo below) to the gum wall to a cheese tasting and a view of the "new" market space under construction. After resting up, we, of course, ate. And ate. And, well, ate at a potluck Nordic V joined us today. Sun-Days joins us tomorrow at Dock Street marina in Tacoma.